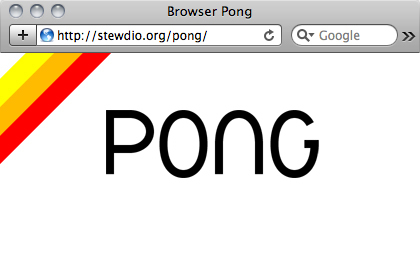 Browser Pong, from Stewdio, is a traditional Pong game played not in a browser window, but with browser windows. 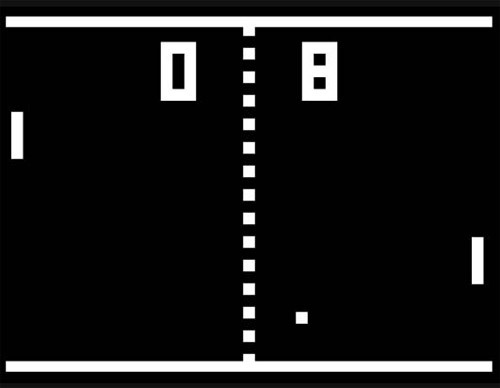 According to Wikipedia... Pong (marketed as PONG) is one of the earliest arcade video games, and is a tennis sports game featuring simple two-dimensional graphics. 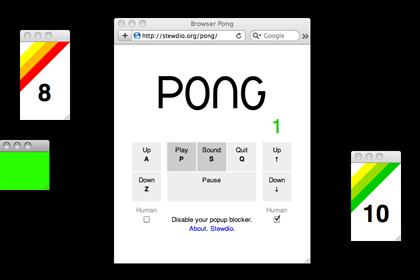 The aim is to defeat an opponent—either computer-controlled or a second player—by earning a higher score. The game was originally manufactured by Atari Incorporated (Atari), who released it in 1972.